We’re a design-led business. Our talented international design team travels all over the world to follow trends and be inspired by colours, patterns, fabrics and innovations. It’s the talent of our design team in capturing these trends and translating them into our collections that makes us the fashion-forward retailer that Hunkemöller is proud to be recognized as. Our team designs 95% of the products you see in our stores. This means we’re very responsive to trends and product design is at the heart of all we do. Internship Design - Lingerie & Swimwear (m/f) Apply now for the “Best internship in Retail” at Hunkemöller! In for a challenge at Hunkemöller? As of September 2019 our Design team at the headoffice in Hilversum, nearby Amsterdam (NL) is looking for a Lingerie & Swimwear intern. Are you currently studying and looking for an interesting Fashion related internship at our expanding, international Retail brand? Then don’t be shy, apply! 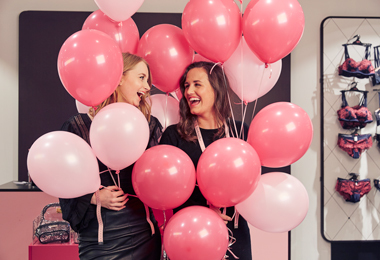 Internship Design - Nightwear & Sportswear (m/f) Apply now for the “Best internship in Retail” at Hunkemöller! In for a challenge at Hunkemöller? As of September 2019 our Design team at the headoffice in Hilversum, nearby Amsterdam (NL) is looking for a Design intern. Are you currently studying and looking for an interesting Fashion related internship at our expanding, international Retail brand? Then don’t be shy, apply! Would you like to see more design jobs?